AAP Medianet provides high quality media tools for your PR media campaigns. 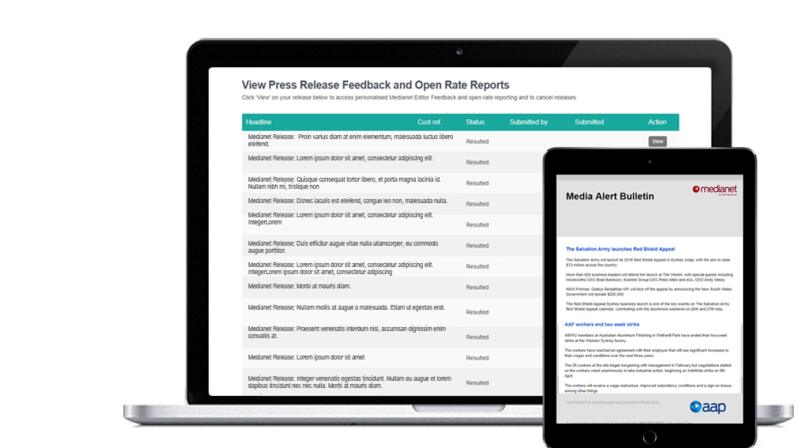 Access media intelligence tools and services that enable you to track the impact of your news release from beginning to end. 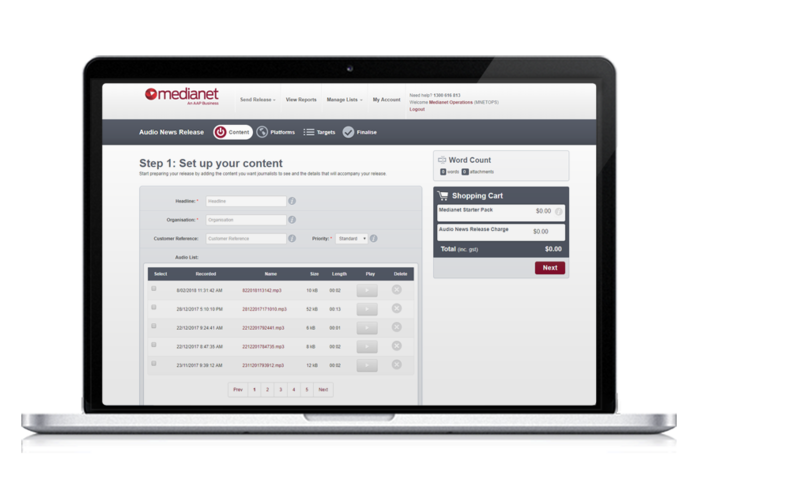 Leveraging our relationship with journalists and the media, the Medianet Editor Service is a unique offering in the market and cannot be duplicated by anyone else. Successful PR requires the unique recipe of angle, approach and timing. 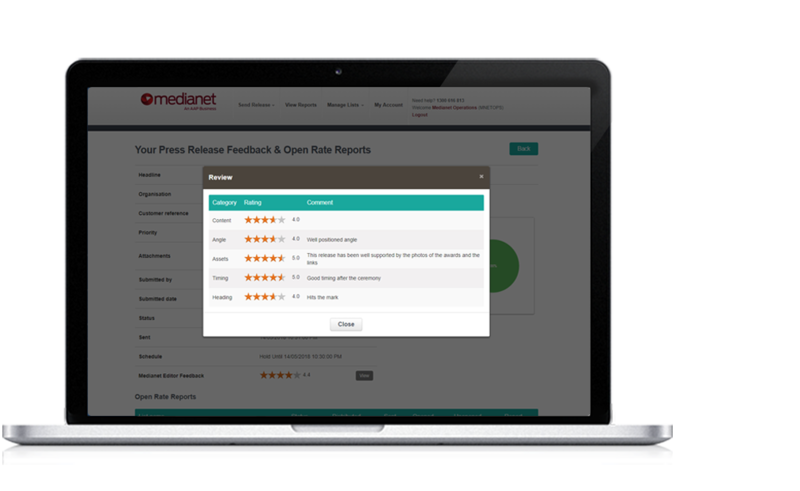 To help assess each of your PR pitches, our team of editors will provide personalised feedback and ratings on your release distributed through Medianet from the perspective of working journalists using the insights on the news agenda. Multimedia is a must have in today’s news environment. 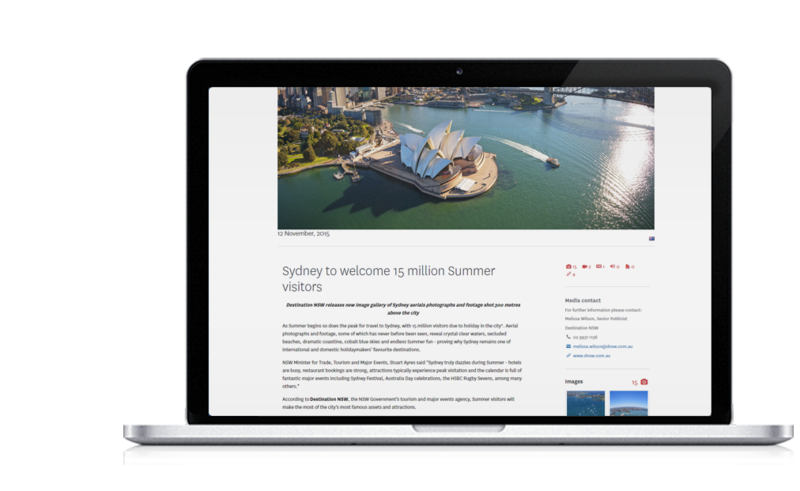 Providing all of your campaign assets in one easy-to-view webpage provides the media with a simple way to access your asset rich pitches and choose from a selection of photos, videos and supplementary information when building a story from your pitch. Trying to penetrate the radio media or being asked for comment by multiple stations? Our radio recording and radio release service allows you to proactively respond or react to media with a simple, single dial recording service.